PSA stands for “prostate specific antigen”. It is a protein produced by prostate cells and prostate cancer cells also produce PSA. A PSA test is used to measure the amount of prostate-specific antigen (PSA) in your blood and for many men a PSA test can be an early means of detecting prostate cancer. However, while the test can be effective in determining a man’s PSA level, recent studies have shown that the PSA test alone, is not an accurate indicator of prostate cancer. In fact, a high PSA level does not necessarily mean that you have prostate cancer. There are cases in which some men who don’t have prostate cancer are diagnosed with it. Some of these men end up undergoing unnecessary and dangerous invasive treatments with many long-term adverse effects. As a result, doctors do not automatically recommend the PSA test for men who don’t have symptoms. Instead, they perform further assessment by looking at one’s risk of prostate cancer. Here are 4 things that a PSA Test doesn’t measure. You may be surprised to learn that a high PSA isn’t necessarily indicative of prostate cancer. There are a number of factors that can contribute to a high PSA and not all of them are cancer-related. For example, as a man ages, his PSA naturally increases, regardless of a prostate problem. Urinary tract infections are another factor that can cause PSA levels to rise. Any infection near the prostate gland can irritate and inflame prostate cells, which causes PSA to increase, producing a falsely high result. Some studies have found that exercise, such as cycling can also cause a rise in PSA. In a 2011 study showed that biking increased PSA by up to 25%. For that reason, are advised not to exercise 24 hours prior to their test. One of the main discrepancies with the PSA test is that it results in some men undergoing treatment that was unnecessary to begin with. To put it in perspective, one study found that for every 1,000 men that undergo a PSA test, approximately 25 will suffer from erectile dysfunction, 3 will require pads for urinary incontinence, and 1 will be hospitalized from sepsis, which is a life-threatening infection that can occur from a biopsy. This is not due to the PSA test itself but future procedures that a PSA test can lead to. Therefore, the PSA test can lead to having an unnecessary invasive procedure that can cause a serious infection. A PSA test alone will not determine whether or not you need treatment, and it is important to recognize that the test alone is not an accurate indication of cancer. Doctors will need to conduct additional tests before recommending invasive procedures that can significantly impact your quality of life. If you are undergoing treatment for prostate cancer PSA test may not indicate if your treatment is working. Although PSA levels are a good way of measuring cancer, as discussed previously a rise in PSA may not mean a spread in cancer. Invasive treatments, such as a biopsy can actually lead to a rise in PSA, as the procedure causes trauma to the prostate gland. Therefore, it is often recommended that men do not have a PSA test until 2- 3 weeks later. While a rise in PSA can indicate prostate cancer, it can’t determine when or where the cancer has spread. As a result, a biopsy might be recommended. While this helps to pinpoint whether or not you have cancer, it can have some very unsavory side effects, including bleeding, infection and sexual incontinence. Even if you take many samples, biopsies can still sometimes miss a cancer. This occurs if none of the biopsy needles pass through the rights areas. Thus, the biopsy will have a false-negative result. In fact, one study found that biopsies detected only 67.8% of prostate cancers. When it comes to diagnosing prostate cancer and raising awareness, the PSA test has an important role. A raised PSA level can be a sign of a problem and a PSA test can help diagnose that problem. However, while the test has its benefits, it’s also important to remember that it is not always a reliable indicator and should be followed by other tests. Hi Doc, i am taking your supplements presently. my problem is that i have been diagnosed with prostate cancer that has entered my bones. what advise do have for me ?. Hi Ansu, can you please get in touch with our team via [email protected] so that we can discuss this in more detail. The Ben’s Natural Health Team. Hi Bernard, that’s great news! Very happy to hear that our program has helped to lower your PSA and that you have been cleared. Please keep us updated on your progress. Wishing you good health! I’m 64 my psa climbed from 160 to 370 in 6 months that’s when I decided to take this shot after 6 months it went down to 8 but I was given another shot and with the side effects I didn’t want to experience a second shot with thatpsa being 370 the MRI showed signs just outside the prostate area and I was hoping when my reading went down to 8 I could have tried something different with less side effects????????????? Hi Larry, could you please get in touch with our support team through [email protected] so that we can discuss this with you in greater detail. Alternatively you can also contact us via our toll free number 1-888-868-3554 in the US and +44 (0) 845 423 8877 in the UK. I had been taking Tamsulosin and Finasteride for several years, recommended by my urologist for elevated PSA. The drugs lowered my PSA to under 3.0 where it remained. After reading information on your web site about the side effects, I stopped taking the drugs and ordered your Total Prostate formula which I began taking July 1. A PSA exam taken in late August, showed an increase to over 5.5, more than double what it was. Frankly, I was hoping for better results from your product, and that my PSA would at least be as low as it was, or at least under 4. I am scheduled to see my doctor again in March and when he sees the PSA results I will have to tell him that I stopped taking my medications and started taking some natural formula being sold on the internet. I am 73 years old. I am running low on your formula and need to decide whether or not to reorder again (for the 3rd time). Hi Rodney, can you please get in touch with the support team on our toll free number +1 888-868-3554 or via [email protected], so that we can discuss this in further detail and see how to best advise you. Wishing you good health. On November 17, 2017, I had an MRI at University of Washington and the result was a Pirad 2. My current PSA was 4.1 after taking your Prostate Health. I wish to continue taking them but I couldn’t afford the cost because I’m on in fix income I received from military retirement. Once in awhile, I have this pain in my lower back and abdominal but disappear when I drink ginger tea or alieve. I was thinking to repeat my MRI to ensure that I’m safe and no significant issue to be concern with. Hi Antonio, could you please contact our team via our toll-free number 1-888-868-3554 in the US and +44 (0) 845 423 8877 in the UK so that they can discuss this with you in further detail.The Ben’s Natural Health Team. 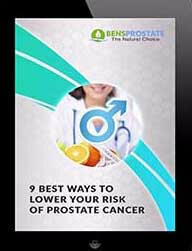 Ben, I’ve been on Total Prostate Health, EstroClear, and Prostate Power for over a year now. I had an MRI about two years ago and one more recently, both with PIRAD scores of 5. Not good. My prostate did shrink from 22 to 15, probably due to Lupron 6 mo dose. I do have a specific concern about the results from the last MRI being far less specific than report from the first MRI. Seems like the pathologist gave him a sales tool more than a comprehensive, comparative report. Thinking about demanding another read of MRI or looking for another urologist. Don’t want to die due to my distrust of medical cabal but don’t want to capitulate if I’m on the right track by wanting more diagnostics. Where does one go when doc is a quick draw with a da Vinci machine? Hi Richard, getting another MRI or another opinion from a different urologist may be a good idea. We also have an advanced prostate cancer risk assessment which may be of interest to you. You can learn more about it here http://www.bensprostate.com/prostate-health-info/advanced-prostate-cancer-risk-assessment-apcra/ and if you wish to discuss it in further detail please contact our team through our toll free number1-888-868-3554 in the US and +44 (0) 845 423 8877 in the UK. Hi Stephen, you should read this article on our position about different methods to detect prostate cancer http://www.bensprostate.com/prostate-biopsy-safe/ It explains the concerns about a biopsy and better alternatives. New studies show that an MRi is highly effective at detecting prostate cancer https://jamanetwork.com/journals/jamanetworkopen/fullarticle/2683950. If you have any further questions please get in touch with our team at [email protected]. I am 69 and I am sure I am a classic example of a high PSA not telling the whole story. My reading has progressively gone up from 5.5 to 18.1 over about 5 years. Yet I have no symptoms. Prostate cancer is in my family so I started to take saw palmetto as a precaution about 12 years ago. The urologists here in UK laugh at this, suggesting it is pointless yet they cannot work out why I have no symptoms with such a high PSA. But the MRI scans (2) show my prostate is 6 times too large at 180cc/ml, hence the high PSA reading. I have been daft enough to allow 2 biopsies and neither found anything wrong. Both times they gave me all the symptoms one reads about for prostate problems, which lasted about 3 weeks before calming down. Never again! I am taking Ben’s Total Health (5th bottle) and now Estro Clear to see if that might help shrink my prostate, First bottle of that just finished so too early to tell and I will probably need another MRI to accurately tell. I keep refusing medication and they are simply watching with 6 monthly PSA blood tests. 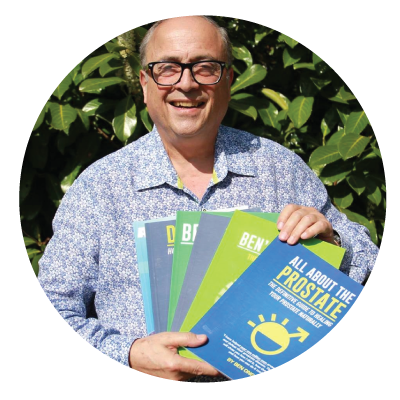 Ben recently published a report on saw palmetto which showed that it shrunk the inner part of the prostate, which might explain my lack of symptoms – I am still taking it. Where will my next PSA reading be – higher or lower? Should I ask for MRI test ? Hi Danny, avoiding invasive surgery is a good idea as certain surgeries can result in serious side effects. This article looks at the effects of a biopsy and is worth a read http://www.bensprostate.com/prostate-biopsy-safe/ It also explains some of the alternatives, such as PCA3 Test and MRI. If you would like to discuss this in more detail please call our toll free number +1 888-868-3554 and we’d be happy to try and advise you. Wishing you good health. You should certainly ask for an MRI scan but it should be an mp MRI scan which NICE now advocate as this might at best mean a biopsy is not needed and at worst it will indicate exactly where the biopsy samples should be taken from. from a patients point of view and not from a business point of view, my eyes have been awaken. I have been taking your supplements for about 6 months and I honestly can say that I do feel even stronger than before. I also will let you know I have not had any symptoms PC at all. I do have HP controlled it is in my family. I would like your opinion of a book that I hope you have read called THE GREAT PROSTATE HOAX by Richard J. ABLIN. Please email me back at your convenience. Thank you for your time. Hi Stephen, its great to hear that my supplements are helping you and that you see an improvement! 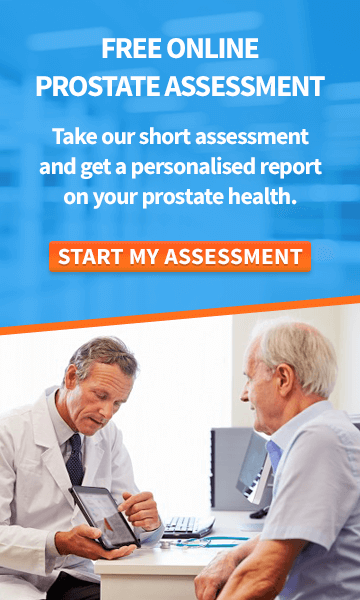 Regarding the ‘Great Prostate Hoax’, we’re in complete agreement that the PSA test should not be the sole test for Cancer – it’s why we put together the Advanced Prostate Cancer Risk Assessment. However, we do think of it as a useful tool for indicating BPH or the need for further review. We’re completely conscious of the devastating impact of overtreatment, which is the whole reason for our natural solution to the problem. I’m sure the team here would be happy to discuss further, but it sounds like you’re already pretty well read on the matter. Always good to know – the most important thing is to be informed! Wishing you good health. Can you kindly advise as to what other procedures are available that are less invasive than a biopsy in determining the severity of an individuals Prostate Cancer? I have had a biopsy over two years ago and unfortunately spent 4 days in the hospital recovering from the infection! I have told my doctors that I will NEVER go through this procedure again! Please advise as to what other tests are available for an individual who has had this disease for the last nine years. Hi Sandy, very sorry to hear about your terrible experience having a prostate biopsy. There are safer, non- invasive treatments such as MRI and the PCA3 test. We discuss these in more detail in this article=> http://www.bensprostate.com/prostate-biopsy-safe/ . If you have any questions please feel free to get in touch via [email protected] and we will be happy to help. Wishing you best health. I’ve also read many times that even if prostate cancer was detected it is a very slow growth cancer and the chances of someone (say in his 80s) of dying from other causes is extremely likely before the cancer becomes problematic. That’s exactly right, Floyd. The word “cancer” can often be such a shock to the system that people will automatically jump to do anything to get rid of it. But in the case of early stage, localized prostate cancer (where the cancer remains in the prostate), according to one study, you have a 1% risk of dying from prostate cancer over 10 years, regardless of whether the tumour is treated with surgery, radiotherapy, or active surveillance. I do not trust the medical profession . I’ve seen time and time again they do procedures for the money . Because of there invasions and not listening to what I was saying they killed my wife as they think they are god and above all us peons. I’m terribly sorry to hear that Albert. Yet unfortunately, that does often seem to be the case. Profit over patients, as I’ve said before. It’s tragic. If it goes up again, please give us a call on 1-888-868-3554. We will gladly listen and give you some advice which you could then discuss with your doctor. to improve all health issues.